In 1953 Sandy and Alex meet and fall in love in Adelaide, South Australia. She comes from a wealthy Catholic family and he is the son of a shopkeeper and an Anglican. Her mother has marriage plans for her and takes Alex to Italy to keep them apart. He goes to Oxford University where he achieves great success in cricket and rugby football. For the next seven years their love has to overcome many conflicts and is sorely tested by a tragic event and her Catholicism. In 1961 now working in San Francisco and believing Alex lost to him forever, Sandy falls in love and marries Kate but Alex, now finally free of her marriage, returns to him plunging his life into chaos. Will he be able to bring an end to this never ending game? She woke me up in the morning at eight saying their group was departing at ten and I should leave before anyone saw me. The Italians knew she was married to Paolo but in true Italian style would never say anything about last night, but it was probably best not to be seen together in the morning. I was getting dressed when she picked up my jacket to hand it to me and she noticed there was something heavy in the pocket. I had totally forgotten about it but her hand went in and brought out Eva’s watch. I saw the disbelief growing in her face and I had a flash back to the Darlene’s gold chain incident in Naples. In answer she hurled Eva’s watch at my face, hitting me on the forehead. I caught it as it bounced off me. I had gone too far and instantly regretted it. She burst into a torrent of tears. I went to her but she pushed me away and said “just go”. I put on my jacket, slipped the watch into my pocket and walked out. I could feel blood trickling down my nose and put my handkerchief over the cut in my forehead. I stayed in my hotel room and drowsed through all of Sunday. I went over the whole scenario, over and over again. I wished I could take it all back. I shouldn’t have reacted angrily to her charges. I would have slept with Eva so she was partially right but I had not lied when I said I had never slept with her. But poor Alex had all the stress of a loveless marriage and her secret. I knew she loved me and I could understand her being upset when she saw me dancing romantically with another woman. But where does that leave us now? By dinner time I had decided that I should wait for her to contact me again. She knew I had another year at Oxford. Despite everything I was still in love with her. On Monday morning I went straight to Göran’s office. He looked up smiling at me as I walked in. Then he saw the small elastoplast on my forehead. I pulled Eva’s watch out of my pocket and placed it on his desk. I told him it was not his fault and that our relationship was very complicated but I was sure she would come back. I wasn’t really sure but I didn’t want Göran feeling guilty about it. Except for this one incident I had a wonderful summer in Stockholm. I’d met Mr. Axel Persson, Göran’s father, and he seemed interested in me. Perhaps that would lead to other opportunities. Had cricket opened another door? David Adamson Harper started his working life as a British naval officer serving out of the Hong Kong station, which became the backdrop for his first novel KWANGCHOW. After leaving the navy he joined the management program at Grace Line in New York and spent many years in Panama and San Francisco. He then joined United States Line as a senior executive and ran their South Asia Division from Bombay and later the Africa Division stationed in Durban, South Africa. 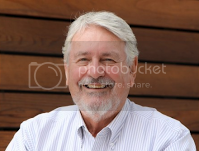 He returned to San Francisco where he ended his career as a maritime consultant to major west coast ocean carriers. Wherever he went he was always involved in the game of rugby football and was a referee for many years. On retiring he moved to Mexico to become a full time writer. He and wife Susan live in a village on the north shore of beautiful LakeChapala at 5000 feet in the Sierra Madre Mountains. 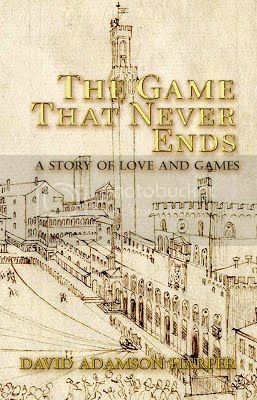 THE GAME THAT NEVER ENDS is his third novel and follows the critically successful HOW TEDDY TOOK PANAMA.